ITALY is one of my favorite places on earth! 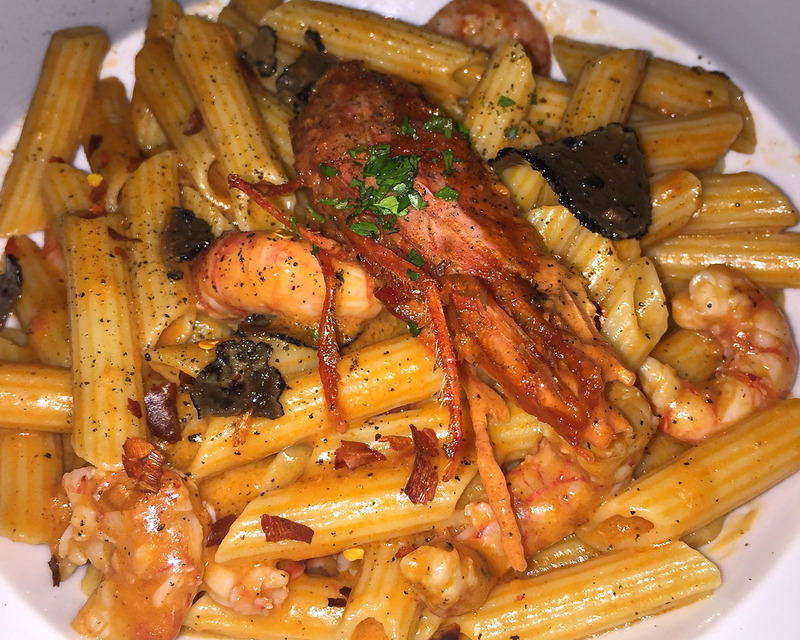 WINE, PASTA, BEAUTIFUL SCENERY… what is not to love! 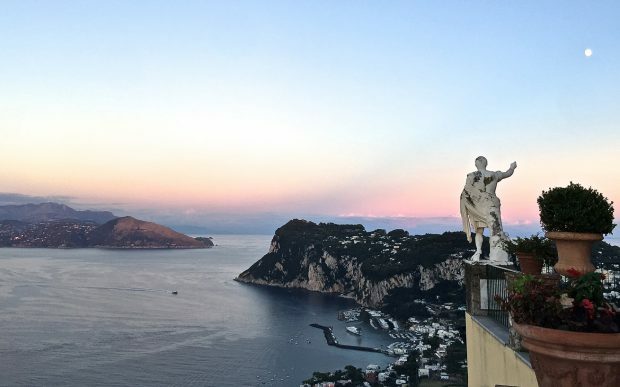 I put together a little guide for you guys to make it easier for you when you book your next trip to Capri. Tiberio Palace – Super chic, I love this hotel! It’s a luxury boutique hotel located right in the middle of town being able to easily walk around and sightsee. Quisisana – Just steps away from Capri’s central piazzetta. 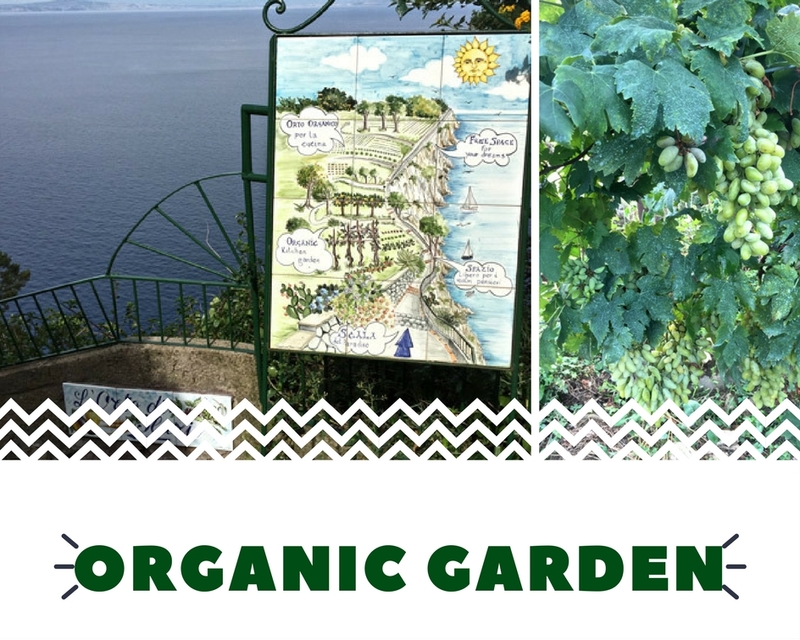 Beautiful gardens overlooking the Mediterranean, it is an absolute gem! 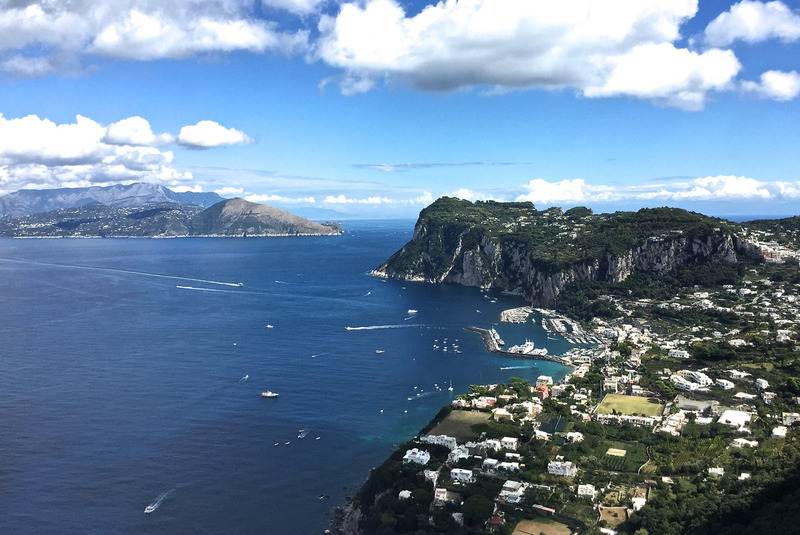 JK Place Capri – Overlooking the beach of Marina Grande near the Amalfi Coast, this hotel enables guest to enjoy the breathtaking view above the azure seaside. Caesar Augustus – Two centuries ago it was a private home, now a luxury hotel with its own organic farm! This place is a dream for foodies, I literary got lost in the gardens one day. Definitely a must see! ll Riccio – Il Riccio is an elegant Michelin star restaurant accessible by boat along the entrance of the Blue Grotto. 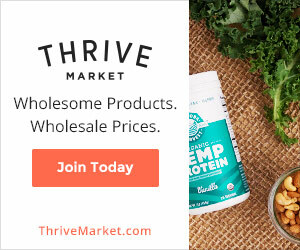 It’s a fantastic place that not only serves delicious food, but is also an all day beach club that offers massages, cocktails, and many delicious snacks. La Fontelina – Another stunning beach club on the island that can be accessed via foot or by boat. Lido del Faro – This beach club is another great option that is only a 15 minute boat ride. Crystal clear water and incredible seafood. 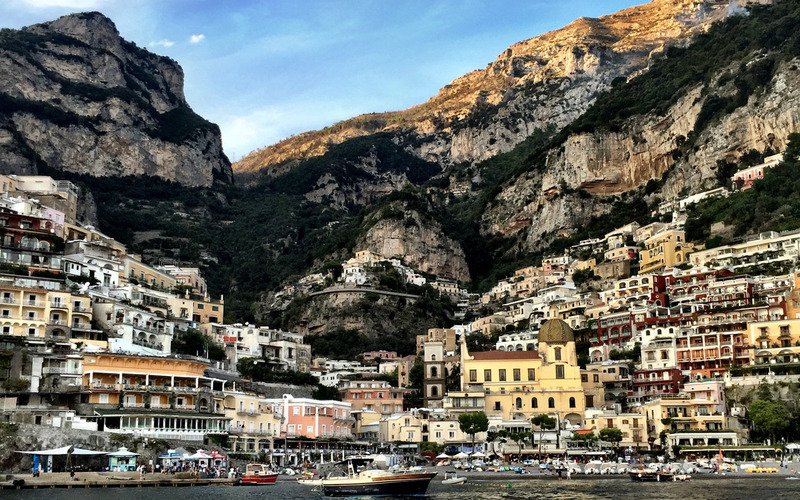 La Conca del Sogno – This is one of my favorite restaurants on the Amalfi Coast. It is a family-run restaurant overlooking the clear blue waters. It’s perfect for a romantic lunch with your babe! 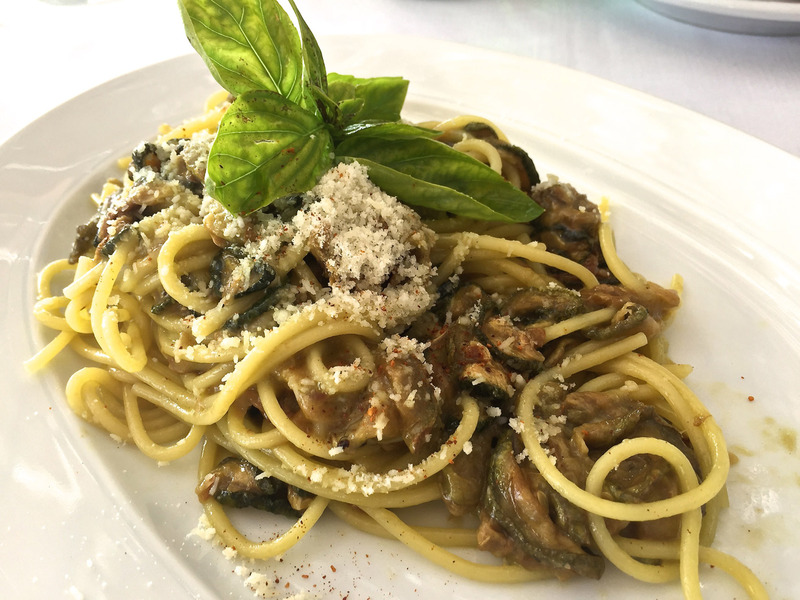 Lo Scoglio – Another great lunch spot that you can go by boat. The zucchini spaghetti and fresh sea urchin are my favorite dishes! 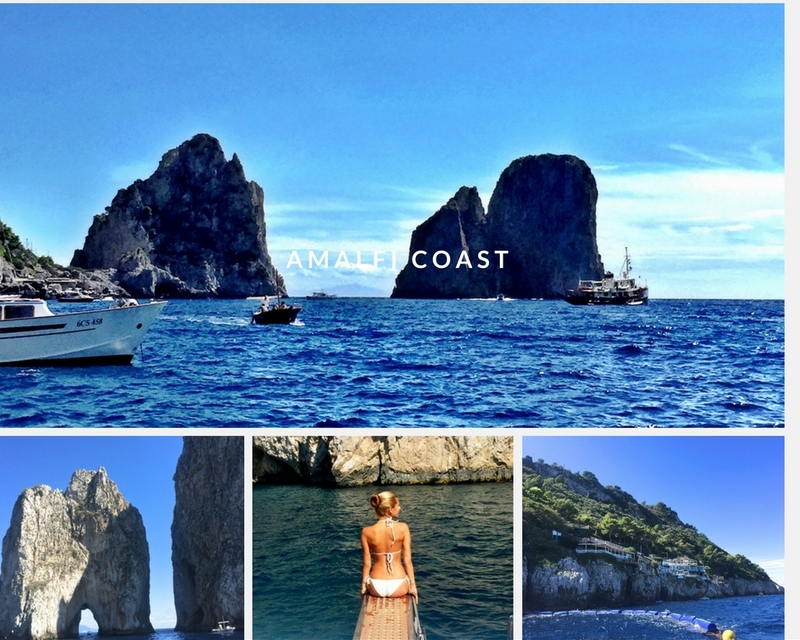 I highly recommend renting a boat for the day and exploring the beauty of Amalfi Coast. We started off by swimming near the blue grotto, sightseeing, and stopping by for lunch at La Conca del Sogno. The food there is absolutely INCREDIBLE!!! We had two different pastas because we couldn’t pick only one (obv!) and a ton of appetizers. I want to go back already! After lunch we headed to explore Positano. It is so beautiful. Le Sirenus hotel is another great lunch option on the island. I love the little streets in Positano and there were a ton of art galleries! 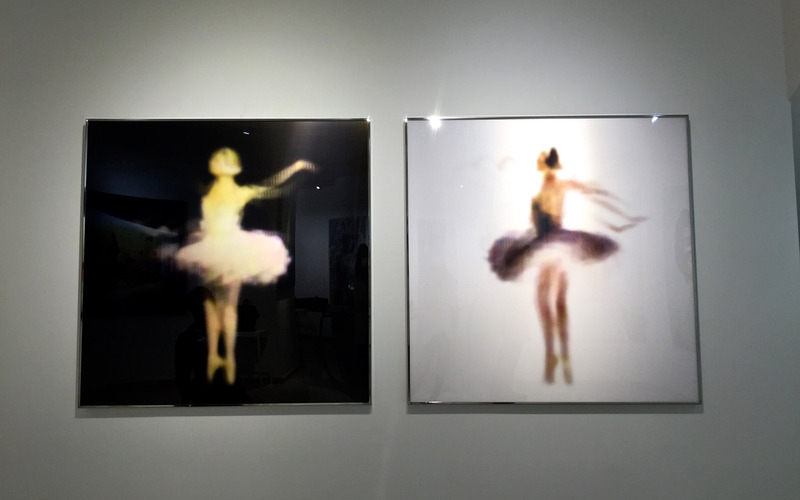 We stumbled upon Umberto Ciceri’s famous ballerinas (below). I couldn’t be happier since I was searching for this artwork for awhile… It was meant to be! You can find information on boat trips here. Paolino – AKA The Lemon Trees Restaurant! It’s one of my favorites on the island, situated inside of a stunning lemon garden. Aurora – Located in the heart of Capri, Aurora is one of the top restaurants on the island. You must try the pizza and papardelle with truffle! Villa Verde – Beautiful outside garden with lovely ambiance and impeccable food. La Panorama – Marvelous views, fresh seafood and excellent service, you will not be disappointed! Terrezo Brunello – A romantic restaurant with gorgeous views and gourmet food. La Camerelle – The perfect place to enjoy live music over candle lit dinner. Anema E Core – Best place for nightlife – live band, singing, dancing and… limoncello!